DNV-GL has conducted hundreds of power performance tests on wind turbines in the U.S. and globally using Campbell Scientific data acquisition systems. DNV-GL’s engineers and project managers specialize in turn-key implementation of power performance tests, including the installation and removal of meteorological towers. 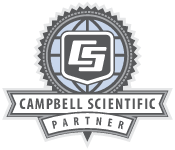 DNV-GL also specializes in leveraging Campbell Scientific data acquisition systems to install solar resource assessment stations, conduct wind turbine acoustic noise testing, meteorological tower maintenance programs, and SCADA tower installations.